Pat Prima Shell effectively captures the heat of summer and glows with the happy vibe of the season. Electric coral textured faux leather features chic contrasting white piping on one corner and along the convenient end pockets. 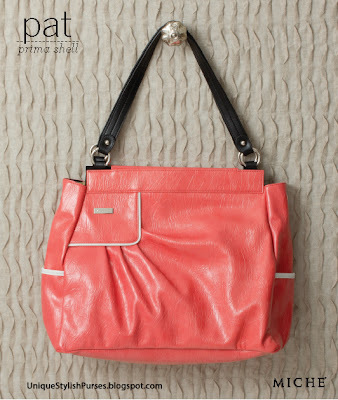 Miche's Pat has “WOW” factor, and adds a little fun and adventure to virtually any outfit! Pat is a Special Edition - These are new releases with limited supply and no restocking. So if you want Pat don't wait, order now before it's too late!